A deadly silence was witnessed in the dressing room as as Son Heung-min scored the 2nd goal of the match to eliminate the defending champions out of the World Cup 2018. Everyone from football experts to millions of German fans in Russia and back home were shocked. And, as the dust settled and the match came to an end, people started looking for the millions of reasons behind Germany’s elimination. Allsportspk presents you the top 5 reasons that led to Germany’s elimination. “Fuhrungsspieler” is a German term which basically means “the loss of leaders”. This is exactly what happened to Germany as they lost not one but three potential leaders after World Cup 2014. Firstly, their captain Phillip Lahm and a key figure in German dressing room retired. However, the major retirement after the World Cup was of Miroslav Klose who is still the all-time World Cup top scorer played a major role in winning the World Cup for Germany. 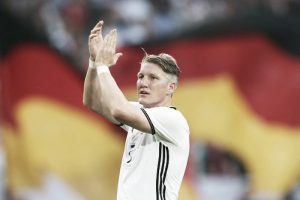 This was not the end of the story as another legendary player, Bastian Schweinsteiger also retired in 2016. Germany couldn’t find a replacement for any of them which lead to their demise in this World Cup 2018. 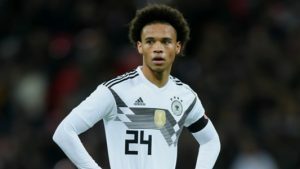 While, many would argue that Germany should have included Manchester City’s Leroy Sane in their squad who was in top notch form. 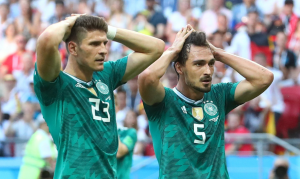 However, the story goes much deeper than that as it was the individual match selections that cost the Germans another possible World Cup victory. Speed and Precision. These are the two factors that the current German side lacked in their World Cup 2018 squad. And it also was the reason as to why they were unable to deter or break down any of the sides they played with. Not dropping Sami Khedira for Sebastian Rudy in the match against Mexico. 5 changes in the last match against South Korea including the exclusion of Thomas Muller; Germany’s most senior player and top scorer. Including Leon Goretzka who is a mid-fielder instead of a striker to get in the lead in a must win match against South Korea. After this incident happened FIFA World Cup 2018 media rating sky rocketed and social media erupted with millions of reactions. The last time Germany were knocked out of the World Cup at the group stage was in 1938. Lets hope they dont take it as badly this time! Just thought I’d let you know. Germany are the only team that has knocked out Messi in the World Cups. [2006, 2010, 2014]. 1938: #GER knocked out in group stages. 2018: #GER knocked out in group stages. The financial loss when a country like Germany gets knocked out early is in the millions of dollars. Television Sponsors that paid massive amounts of money for Broadcast Rights. Replica Jersey sales down. Empty Sports Bars. And the list goes on. The economy surely suffers. England fans reaction to Germany being knocked out is exactly the same as the reaction Dundee fans have when Dundee United suffer a defeat, total wee man syndrome. 2006-Italy won. 2010-Italy knocked out in group stage. 2010-Spain won. 2014-Spain knocked out in group stage. 2014-Germany won.2018-Germany knocked out in group stage.. The last 48 hours have ben one hell of a ride in the BEST way, Messi scored, the late goal by Rojo, Paulinho & Coutinho masterclass, Germany knocked out & Mexico making it rightfully through, Sweden getting justice for the uncalled pen vs Germany. Football can be so beautiful! 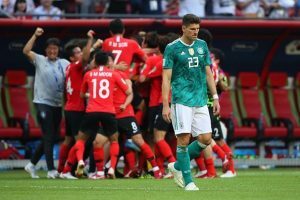 What are your thoughts on Germany’s elimination? Do you think another major reason as to why the defending champions were knocked out of the World Cup?